There are many reasons why Marwan Barghouti should eventually be released from jail so he can run for office. But the Left should, even as it supports him, take into account his past — and why he’s in prison. Marwan Barghouti has shaken headlines by leading a hunger strike among Palestinian prisoners in Israeli jails, calling for improved conditions, and by publishing an op-ed in the New York Times explaining why. Over 1,100 Palestinian prisoners have so far joined the hunger strike. The Israeli establishment is frothing at the mouth against what they call his lies, denying his allegations that he was tortured in earlier prison stints, denying that Israel even has political prisoners — implying that all 6,500 Palestinians in Israel jails, including 500 administrative detainees, are security prisoners — and bashing the New York Times. Marwan Barghouti has been a charismatic Palestinian leader for decades and a committed and consistent two-state supporter, before and after the second Intifada. He was a serious rival to Yasser Arafat’s leadership and possibly a mortal political threat to Mahmoud Abbas. Surveys have long shown that he is the most likely to win a presidential election among Palestinians of the region; they also consistently show that nearly two-thirds of Palestinians wish for Mahmoud Abbas (Abu Mazen) to resign. Moreover, Barghouti has previously taken on the punishing task of criticizing human rights abuses by the PA against Palestinians — a sign that he might commit himself to a more democratic form of governance were he to enter office. He has been in jail for 13 years, where his popularity has only grown among Palestinians, and has been a leader of the struggle for Palestinian prisoner rights. I am familiar with the path of certain leaders from violent struggle against political oppression, to statesperson. Every Israeli should be: It is the path of Menachem Begin and Yitzhak Shamir. Barghouti is more commonly compared, with no small controversy, to Gerry Adams of Sinn Fein, or Nelson Mandela — both served jail time for charges related to violence. For all these reasons, in my personal analysis and opinion Barghouti should eventually be released so that he can run for Palestinian political office, in the (unfortunately) unlikely event of Palestinian elections. He might bring more accountable governance to an increasingly rotten political system for Palestinians. Yet the following also needs to be said: Barghouti was arrested, charged and convicted in an Israeli civilian court for involvement in terror attacks that killed Israeli civilians inside the Green Line. He was among the leaders of al-Aqsa Martyr’s Brigade, a name synonymous with the most deadly and horrible attacks during those blood-drenched years of the second Intifada. But Barghouti was convicted precisely for attacks against civilians inside Israel. And too often, settlers across the Green Line are viewed as legitimate targets; this sentence carries a similar connotation. Both international law and the simple compass of human morality should make it clear that unarmed settlers who are not actively engaged in combat can never be targets of violence. The crimes Barghouti was convicted for were also restated in a +972 Magazine article by Prof. Menachem Klein, analyzing Palestinian politics. I do not write this to join in the New York Times-bashing from the Right, but to offer two points for consideration in reading Barghouti’s article. First, it is about the condition of Palestinian prisoners in Israel, and that is a legitimate cause. Second, there is no real way to separate the hunger strike or the op-ed from Barghouti as a major Palestinian political leader. And any honest person, left or right, should assess Barghouti with an honest appraisal. Show me an Israeli leader who hasn’t purposefully murdered Palestinian civilians. 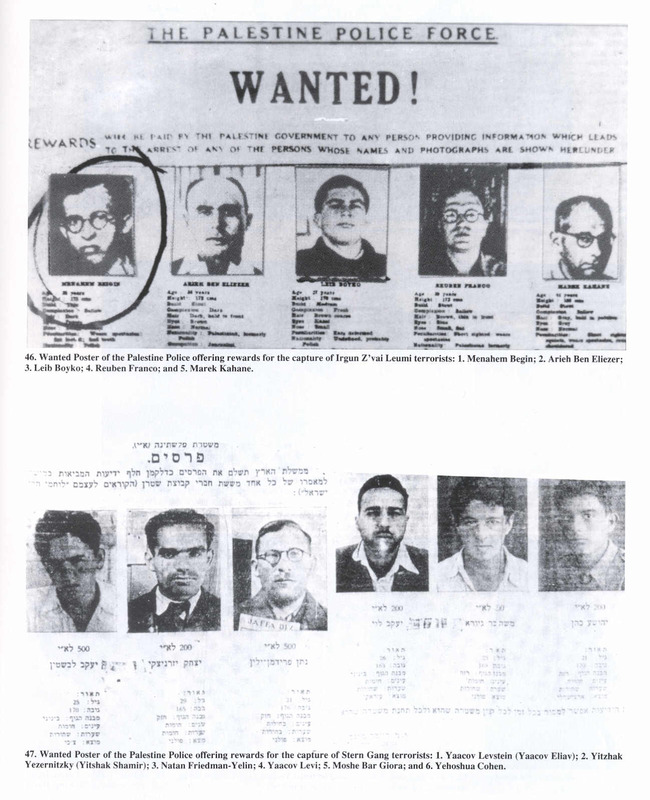 Even the so-called dove Rabin was responsible for the Lydda death march, where he murdered an estimated 300 Palestinian civilians, mostly the elderly, the sick and pregnant simply for the crime of being born Palestinian. Both Shamir and Begin were unrepentant terrorists. Sharon was responsible for the massacres of Sabra and Shatilla and countless other terrorist actions. Perez ordered the massacre of over 100 Lebanese civilians and several UN workers in Qana. Barak ordered the IDF to open fire on the massive Palestinian protests following Sharon’s trip to Al-Aqsa; this policy of deliberately murdering civilians as a terrorism tactic cost the lives of over 100 Palestinian civilians before the first Palestinian bomb was detonated. Why do you expect more from the victims of apartheid than from the rulers of a powerful apartheid state? Is’nt Barghouti supposed to be the good guy? The side we’re supposed to support? Why should we support him if he’s just as bad as the evil Israelis? StCuthbert: Do you think Nelson Mandela was just as bad as the apartheid regime in Pretoria? Keep in mind that Mandela wasn’t convicted for his role in non-violent protests but for his involvement in the Spear of the Nation, a terrorist group formed in response to the Sharpeville massacre of 69 protestors, which bombed cafés, bars, shopping centers and courts, killing civilians. There’s a fundamental difference between using violence to resist apartheid and using violence to maintain apartheid. And while it’s easy to condemn the use of terrorist tactics from the comfort of a first-world nation, it’s not so easy when you’ve lived your entire life under apartheid and your people’s attempts at effecting change through protests are met with a systematic campaign of terror as the IDF massacres civilian protestors (just like the South Africans at Sharpeville) and then begins bombing Palestinian Authority buildings. I can’t imagine what I would do in such a situation. Israel is not an Apartheid state. Its a ridiculous analogy. If anything the analogy works in reverse. Mandela opposed multiple nationalism. He sought full equality under South African law for all South Africans. He fought delegitimization of people and always proclaimed that Afrikaners were another South African tribe and they should not be expelled or mistreated. Mandela opposed separate communities. Policies like the Palestinian land laws where the Palestinians execute Palestinians who seek integrated neighborhoods would have disgusted Mandela. The Palestinian movement is nothing like Mandela’s. not sure why Barghouti’s support for violence is a thing here, as mentioned, most Israeli leaders have had their hands drenched in Palestinian civilian blood as they implemented and continue to implement settler colonialism. The massacres in Gaza, alone, should mute any such issues. More to the point, Barghouti is a leader that can actually negotiate a real settlement, this is good for all concerned. How do you know he can “negotiate a real settlement” other than the fact that his PR people claim that? Arafat was even stronger (i.e. having even more blood on his hands) and more popular, but he failed. Why do you think this, other than simply repeating this mantra we have heard for the last few days? I’m honored that you mentioned Dr. King, the greatest symbol of resisting and dismantling oppression through non-violent means, and perhaps the most successful. All the supporters of Barghouti who are claiming “he is the only one who can make peace with Israel since he is a killer” should be reminded that we heard all these same claims regarding Arafat. They said since he is a murderer he will be the one to make peace (isn’t this sort of counterintuitive?) because he is strong and will united the Palestinian people behind peace. Well, did he? Barghouti makes statements supporting the peace process, but he also makes statements supporting terrorism. Thus, he is anything you want him to be…..Palestinians will supposedly support him since he supports terrorism, and the Israeli left will support him because he has made statements the other way. I particularly love the claim that “he will unite the Palestinians behind him and the peace process”. Well, who is it that turned him in to the Israeli security forces? His own people. Why do you think HAMAS didn’t insist he be freed in the Shalit deal? One of his victims was a girl who attended my synagogue. A great hero for targeting civilians. A fine friend for Amos Oz and Haim Oron. That tells a lot about what kind of people they are. Yuck I have to defend Arafat…. ok. They said since [Arafat] is a murderer he will be the one to make peace (isn’t this sort of counterintuitive?) because he is strong and will united the Palestinian people behind peace. Well, did he? Yes Arafit did. The Oslo accords were signed. Many countries moved towards recognizing Israel. The PA was created, and started to act as a proto-state. Serious negotiations took place. Proposals and counter proposals occurred. They had wide popular support. Arafat did unify his people behind the idea of peace. He got their acquiescence. And note Arafat got here in spite of the intellectual dissonance in Palestinian thought of the idea of actually living in or at peace with a Jewish state. Palestinians remarkably are still politically at much the same place where they were in 1967 when the got destroyed in a war and then demanded unconditional surrender. Its frankly why I think BDS is so destructive for them. By acting in solidarity it reinforces the destructive belief in a deus ex machina solution. Arafat was far far from perfect. The 2nd intifada was a huge strategic miscalculation on his part. I don’t and have never really liked the 2SS approach. I agree with your analogy of Barghouti to Arafat. But I think you misunderstand Arafat’s role. Competence? Lack of corruption? Palestinian unity? A tamer of Hamas and Islamic Jihad? Someone to negotiate with? Non-violent political opposition at the heart of his agenda? Unarmed protest in favor of a Palestinian state within 1967 borders? A committed supporter of the two state solution? Called Israel “our future neighbor”? Sounds like the Israeli Right’s worst nightmare. I do not exaggerate. Their worst nightmare. What they loathe more than anything: a peace-seeking Palestinian leader who can deliver. ​The thing that Scheindlin leaves out when she says that “unarmed settlers who are not actively engaged in combat can never be targets of violence” is this: She paints those same settlers as simply non-violent innocents. But they, every one of them, willingly participate in a project that does massive violence to Palestinians every day. I mean real violence: physical injury and death, imprisonment without charges, torture, land theft, dispossession, robbing of livelihoods and homes, robbing of identity, robbing of dignity. Similarly, it should be noted that when Scheindlin calls “ominous” Barghouti’s words in an op-ed he wrote she places his words in isolation from the context of the relentless extreme violence Palestinians suffer at the hands of the Israelis and that Barghouti himself suffered. People should read that 2002 (not 2004) Washington Post op-ed by Barghouti, in addition to the recent NY Times piece. It documents the savage brutality of the Israelis. Everyone wants to focus indignantly on what Barghouti was convicted of, by flimsy evidence in an Israeli court with a predetermined outcome, but not on what was done to Barghouti, which deeds are themselves great crimes. This is not to excuse violence, but Scheindlin paints that violence as one sided. How is Barghouti as a freedom fighter any different than Begin and Shamir and Sharon? Thanks for the correction on the date – I’ve updated it. You ask how he’s different from Begin and Shamir? I made the very same point in the article. You say I portray settlers as “non-violent innocents” – I don’t agree. I never say they are innocent of the things you describe, nor do I think that. I do say that these things don’t justify violence against individuals if that individual is not armed or in a situation of aggression/combat – i.e., civilians (especially, it should go without saying, children). This is rooted in international law. “Everyone wants to focus on…” – well, i spent half the article mostly agreeing with the causes Barghouti represents, including observing Israeli violence against civilians. I spend 90% of my articles opposing/exposing the ills of occupation,not to mention my time when I’m not writing. I do not see these perspectives as a contradiction and frankly I’m a bit sorry so many people do. It should be pointed out, Dahlia, that you are saying that living over the Green Line is in itself a crime and all Jews there, no matter how peaceful they are, (and this is the vast majority) are on the legitimate Palestinian death list, and “have it coming”. But, let us put aside all pretenses..both official Palestinian regimes, HAMAS and the FATAH/PA consider ALL JEWS anywhere legitimate targets. The vast majority of Jews killed in the suicide bomber war of 2000-2003 were withing pre-67 Israel. In fact, Taylor Force, a non-Jew killed in the fairly recent attack in Jaffa was referred to by official FATAH press-release as a “settler”, and thus, he had it coming as well. In fact, any Arab who kills any Jew under any circumstances is a hero to much of the Palestinian public. That is why the “moderate” Abbas honors all terrorists who kill Jews no matter how “innocent” (young children, unarmed men and women) they are and why they shower money on their families. People here can rant and rave about how noble and brave and Mandela-like Barghouti is and they can do all the moral equivalence they want about how Israelis are no different, but it is precisely this that has soured most of the Israeli public, including those who ardently support the idea of a Palestinian state on the whole peace process and it shows the deep malaise in Palestinian and larger Arab society that has seen the fratricidal slaughter going on in the neighboring countries and even the unwillingness to condemn Assad’s use of poison gas against Syrian children. Dahlia: I agree that you did not actually portray the settlers as non-violent innocents, so I stand corrected. I used the verb “paint.” I saw a portrayal that in what it both left out and what it included had the effect of implying that the settler enterprise is not intrinsically violent, and that did not directly mention the savagery inflicted on Barghouti personally, his body and his self, before he allegedly took up the arms and committed the violence the Israeli court claims he is guilty of (although the pieces you link to certainly do describe the violence Barghouti suffered). That was what I was trying to say. I should have been clearer. I do not disagree with your comment here and I admire your work very much. Ike52: You can go on and on about what you think the other side intends for “all Jews” but in fact here you have a talented leader who openly, publicly aims to lead with non-violent political opposition at the heart of his agenda, using unarmed protest, and is a committed supporter of the two state solution, and exhorts his followers to take a non-violent path, and you can’t wait to paint him as an intrinsically and inveterate blood thirsty monster who is up to no good and can be up to no good. You can’t wait to squelch him. You can’t wait to insist Israel cannot work with him. This says much more about you and your aims than about Marwan Barghouti. Here’s an article Ben should read about the Israeli victims of Barghouti. Then Ben wants Israel to free this murderer Barghouti. This is a must read to show how deranged Ben is for supporting him. It should be worth noting to Ben and Palestinian apologists. Israel made two detailed offers in 2000/2001 and 2008. The response by Fatah was launch a war of suicide bombings against Israeli cities and to hack to death Jews all over Israel and have Abbas naming streets after these murders and paying these terrorists thousands of dollars a month from aid money. It was always that part about overrunning Israel with millions of Arabs that Arafat, Barghouti and Abbas want, which was the tiny sticking point. For some reason Israel just wouldn’t agree to commit suicide against Palestinian thugs like this. Strange indeed. Now the Palestinians think they can force Israel into committing the same suicide where it ceases to exist without even pursuing negotiations. Call it justice, equal rights, democracy or whatever. The left’s movement seeks to turn Israel into another Arab state where Jews are a minority and then you can do away with the pretense of equal rights and democracy and massacre or expel them as is common to do to minorities in the region. If you want to know whats its like to live under the Arabs as a minority, Just ask the Kurds, Coptics, Berbers Western Sahara, Black Christians in Sudan, Yazidis, Assyrians, Jews etc. Ben didn’t seem to mention this. Barghouti wants 2 Palestinian states and no Jewish state. He wants his own state and to flood Israel with millions of Arabs for the 2nd Palestinian state. The sad truth is that terrorists like Barghouti, Arafat and his corrupt, terrorist successor Abbas have never been interested in presiding over the 23rd Arab/Islamofascist state, so much as destroying the only Jewish one. When Palestinians are made to pay a price for their intransigence and sabotage – yes, peace will become possible. Andrew your facts are not correct. Perez ordered the massacre of over 100 Lebanese civilians and several UN workers in Qana. Did Andrew leave out the fact Hezbollah fired 2 missiles from Qana at Israel. All Israel did was respond back where the 2 missiles Hezbollah fired from were. Is it Israel’s fault Hezbollah and Hamas fire behind civilians wanting their civilians to die. It reminds me of that famous Golda Meir quote about when Arabs love their children more then they hate Jews, there will be peace. Why does Hamas and Hezbollah fire rockets from a civilian area hoping that Israel returns fire and kill some of it’s people. The Arabs and Iranian backed regimes are the only people in the world that go out day by day figuring ways to get their children to die in front of the world press. Then you say Sharon was responsible for Sabra and Chatilla. Elie Hobeika ordered the killings in Sabra and Chatilla not Sharon. Read this article and the posts which rebuke what you say about Sharon and Lebanon. By the way does Andrew know what the PLO did in Damour Lebanon.